Complete engineered material handling systems and equipment for handling construction debris. Wolf Material Handling Systems has provided complete engineered material handling systems and equipment for handling construction debris. 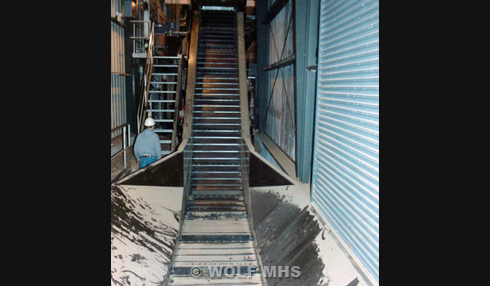 Wolf has provided complete systems from truck receiving, screening, size reduction, dust collection and boiler feed. Wolf understands the challenges of handling construction debris, and takes complete design and supply responsibility of the material handling system. Wolf offers a Performance Guarantee on each system design.